Power cables weave around each other above the door way into the equipment terminal of Silo 2. 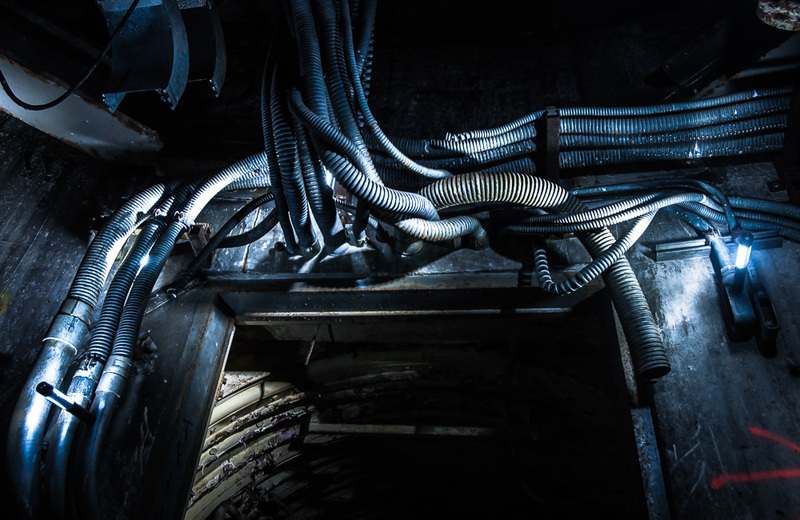 Equipment terminals provided a broad range of functions to the missile and silo, consisting of 4 levels and housed equipment that ranged from climate control to launch and guidance systems. Now devoid of the original gear except for HVAC, power cabling and air conditioning piping, the Equipment Terminals of this Titan 1 complex are a maze of ladders, maintenance and elevator openings, the drop typically leads into open water.